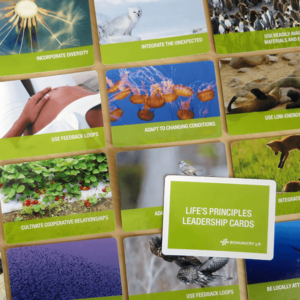 Experience what it’s like to generate innovation ideas from nature with our newest card deck that “game-ifies” the innovation process. 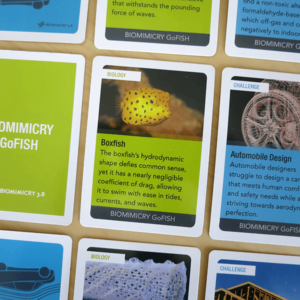 Biomimicry + Packaging Innovation Toolkit, which includes the Brainstorming-in-a-Box card deck, is designed to facilitate a creative exploration of biomimicry into packaging design solutions. It allows individuals or teams of any kind to generate innovation ideas inspired by nature, through a brainstorming process that inspires players to consult the power of nature’s genius and facilitate a creative exploration into packaging design solutions that are inherently sustainable. 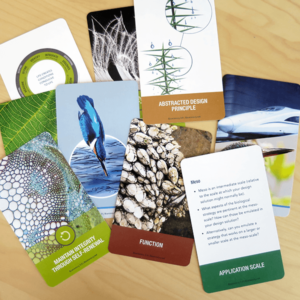 *Once you’ve purchased the deck, download the remainder of Biomimicry + Packaging Innovation Toolkit, including necessary facilitation content, available for free here. 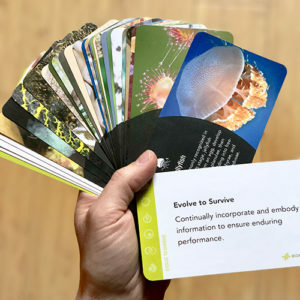 The Biomimicry Brainstorming-in-a-Box card deck serves as the cornerstone of the Biomimicry + Packaging Innovation Toolkit, and is designed to help players—individuals or teams—of any kind generate innovation and sustainable packaging design ideas inspired by nature. 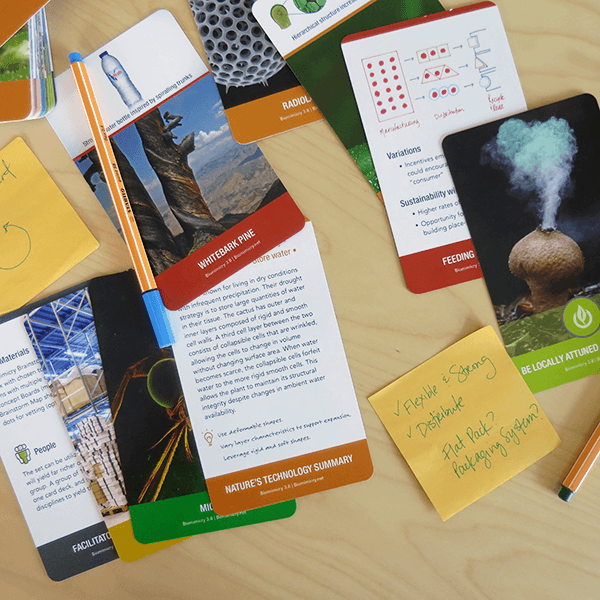 Upon order, the Biomimicry Brainstorming-in-a-Box cards are printed on demand through a third party printer (to avoid unnecessary production of materials). We do our best to use printers with high sustainability and ethical standards, but were unable to identify an ideal option for this product. Know of the perfect printer? Let us know at info@biomimicry.net.